Good article on bee swarms. How not to get stung by a bee. 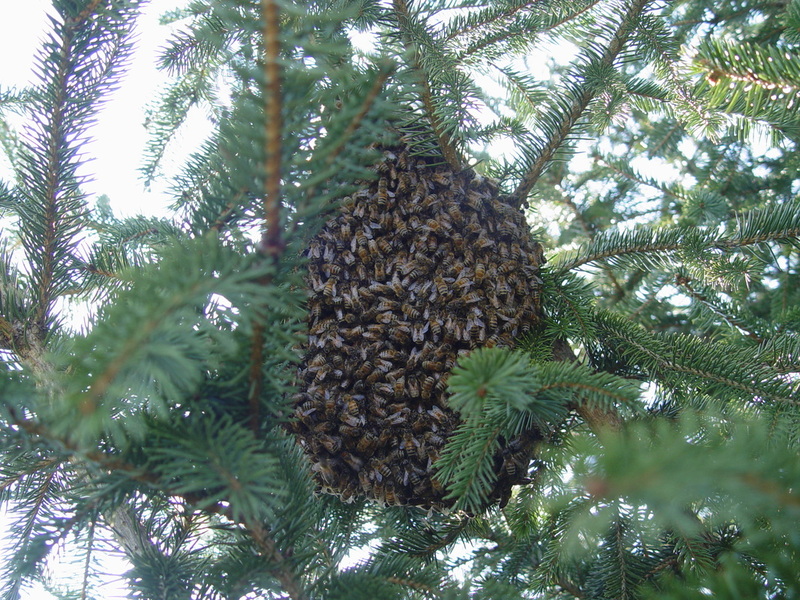 Call for bee removal from structures or if you have a swarm. Bees and Hive removal from house pictures. We were featured on Sustainable Kentucky website. We harvested Honey out of two hives and bottled 96 pints. 24 pints have comb. Comb honey is made by using a frame without foundation, forcing the bees to draw comb from scratch. This provides the highest quality of wax. The bees make wax from wax glands, it requires 6-8 pounds of honey to make one pound of wax.